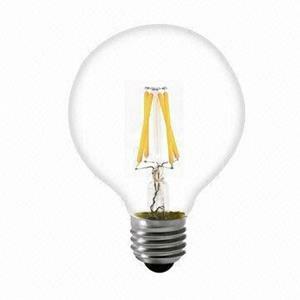 Equivalent light output of a 60 watt bulb. Does not get hot. 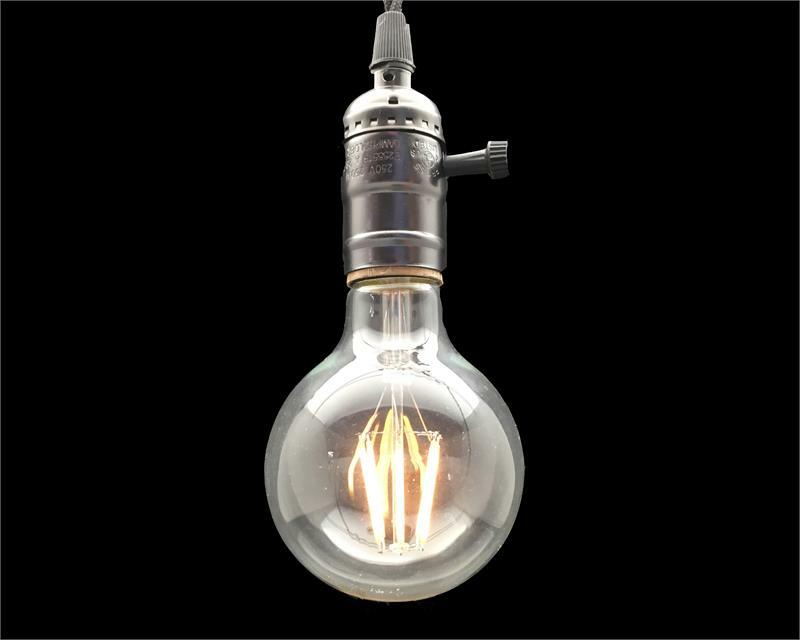 LED filament bulbs look like the old style Edison incandescent bulbs. However - they do not get hot, plus they use just a small amount of energy. 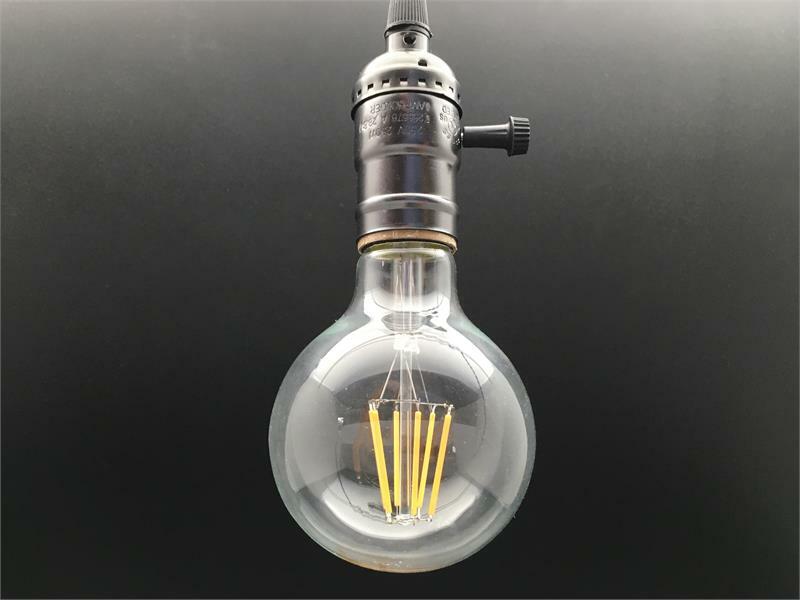 These G25 bulbs have the sweet design styles of the early twentieth century - with the additional benefit of being energy efficient, including the safety of a cooler temperature. 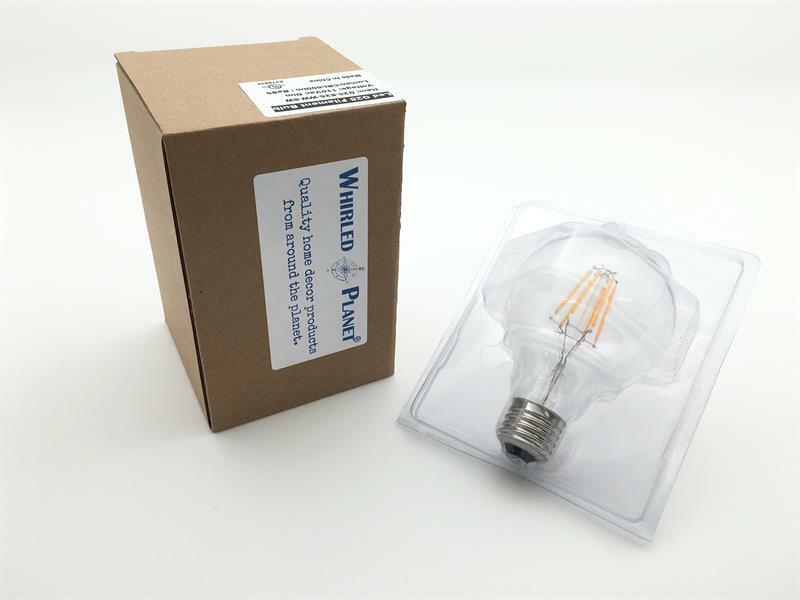 The bulb base will fit all standard sockets in the US and Canada. Uses 110 volts, and just 6 watts of energy (60W equivalent).